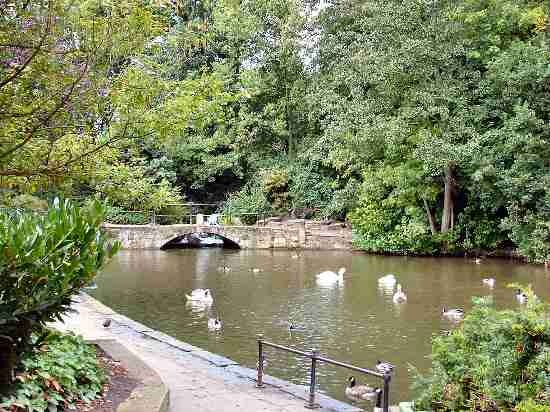 When Markeaton is mentioned, most people immediately think of Markeaton Park, with its numerous attractions and special events. It is probably the most popular park in the East Midlands with an estimated one million visitors per year. However, the history of Markeaton goes back much further than the date when the public park was created. Markeaton Estate was very extensive and dominated the north–west side of Derby, from 1086 to the early part of the 20th century. In the Domesday Book, it was shown to be a large village with its own church and mill, although some historians now think the church was probably on the site of All Saints at Mackworth. The manor at that time was recorded to be in the hands of the Earl of Chester whose Steward, an ancestor of the Touchet family, controlled it. In 1516, the manor of Markeaton, together with Mackworth and Allestree came into the hands of John Mundy, a goldsmith, who six years later became the Lord Mayor of London and was knighted in 1529. The last Mundy to live at Markeaton was Francis Noel who died in 1903, and on the death of his wife 26 years later, the estate passed to the Rev William Clarke-Maxwell. The hall, built in 1755, and 16 acres of gardens were left to the Council, with the stipulation that they should be used to benefit the citizens of Derby. In addition, the council also purchased other land from Clarke-Maxwell. Prior to her death, Mrs Mundy had given seven acres of land to the people of Derby, where the Corporation constructed a children’s play area and paddling pool, calling it ‘The Mundy Playing Field’. In the 21st century, it is an extremely popular venue for the young and not so young. The facilities have been enhanced over the years to include a children’s boating lake, amusement park, crazy golf and a miniature train along with the ever popular paddling pool. During peak periods, there is a bouncy castle available, canoes, rowing boats, electric cars and donkey rides. The hall was in a somewhat dilapidated state when it was left to the city and, after being used by the Army during Second World War, it was eventually declared unsafe. As the Council considered the cost of restoration too high, it was demolished in the mid 1960s. The area where the hall once stood has been laid out as a landscaped terrace, known as Markeaton Terrace. The former Orangery, now a listed building, has been converted into attractive tea rooms, where weather permitting, visitors can sit outside and admire the superb flower beds. A craft village now occupies what were once the hall stables. It consists of a number of individual units selling a wide range of goods, where visitors can watch skilled craftsmen at work. The village is open throughout the year, but the times of opening of individual units vary. The Duke of Kent officially opened the park in June 1931. The lake, which had been dug out in the 1920s to provide men with work during a time of depression, was extended in 1933-34 and opened in July 1934. The pond that forms the source of Markeaton Lake is reputed to have been the site of the Mill Pond mentioned in the Domesday Book. Close by is a very pleasant Woodland Walk, particularly in the springtime when the daffodils, are in flower. Markeaton Park Railway opened in 1989 and, extended seven years later, the line runs between two stations within the park. The main locomotive the ‘Markeaton Lady,’ built by the Exmoor Steam Railway commenced operations in 1996. It runs on a daily basis at peak times of the year, taking visitors along a scenic route from one side of the park to the other. The engine is housed in what was once the NAAFI, when Army Barracks were stationed on the site during the Second World War. At that time, the car park to the front of the engine shed was used as the Army Parade Ground. 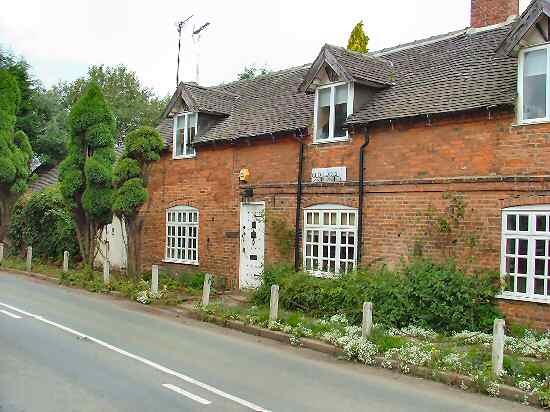 In September 1975, what remains of Markeaton village was designated a Conservation Area, to protect the last vestiges of what was once a prosperous farming village. The small group of buildings on the western side of Markeaton Park date from the late 18th century, with Home Farm, The Green and the Farm, all being of architectural and historical interest. The Orangery, situated nearer to the centre of the park, is attributed to Joseph Pickford, the Derby architect and holds Grade II listed status. Home Farm, opposite The Green, is a fine example of a traditional small agricultural holding, the buildings dating back to 1755. The Mundy family, to provide food and other supplies for the estate, built it. A wide range of animals are kept on the farm, including some rare breeds. Seasonal attractions include hatching chicks in the incubator and newborn animals. One of the barns has been converted into a Gift Shop and Education Centre. Alongside, are the Farm and Markeaton Garden Centre; opposite is the Old Forge. 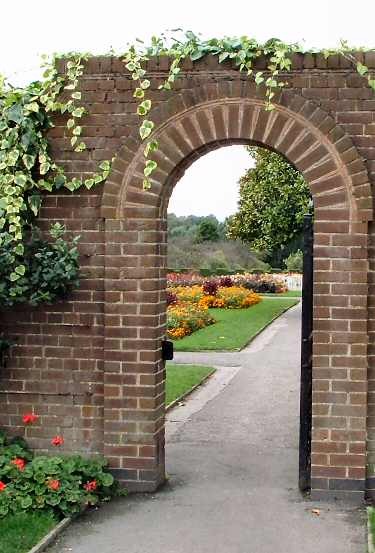 Markeaton Park is the home to Derby City Council’s Nursery, which produces bedding plants each year for distribution to council maintained sites. The plants are used in parks, traffic islands and for hanging baskets. Although normally closed to the public, the nursery holds an annual open day. 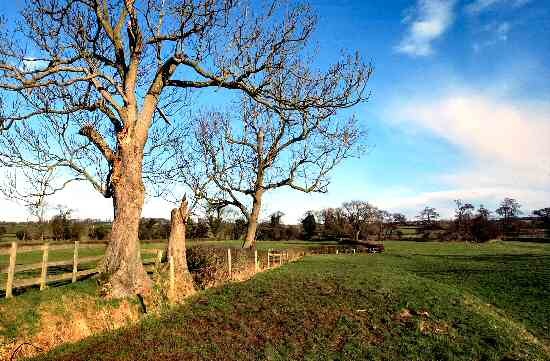 A city of considerable character, surrounded by attractive countryside. With the Peak District National Park, the second most visited National Park in the world, only a few miles to the north and the National Forest only a short distance away to the south. Located near the centre of the country, Derby has excellent communications and is well served by road, rail and air. Pickford’s House Museum: (01332 255363) housed in a handsome Grade I listed building, built in 1769 by Derby architect, Joseph Pickford for his own occupation. It was opened as a museum in 1988 and delightfully recreates a scene of Georgian domestic life with splendidly furnished rooms and fine costume displays. Open daily apart from during the Christmas and New Year break. Kedleston Hall: (Tel. 01332 842191) is one of the best surviving examples anywhere of the work of Robert Adam. Lavishly decorated with fine collections of paintings, furniture and sculptures. The marble hall has been described as ‘one of the most magnificent apartments of the 18th century in England’. Open from the 19 March to 31 October, Saturday to Wednesday. Park and garden open daily from 10am and house from mid-day. Shop and Restaurant open at weekends in the winter. Park open all year. 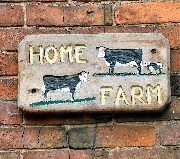 Home Farm: (Tel. 01332 204597) on the western side of Markeaton Park, is a fine example of a traditional small agricultural holding, the buildings dating back to 1755. A wide range of animals are kept on the farm, including some rare breeds. Seasonal attractions include hatching chicks in the incubator and newborn animals. One of the barns has been converted into a Gift Shop and Education Centre. Home Farm Tea Room is normally open daily from 11am during the school holidays and at weekends throughout the year, serving hot and cold food, drinks and snacks. The Standing Order: (Tel. 01332 207591) situated in Iron Gate, in what were formerly bank premises, that have been tastefully converted into a popular public house. Open all day. Meals available all day. The Orangery Tea Rooms: (Tel. 01332 205445) the former Orangery, now a listed building, has been converted into attractive tearooms, where weather permitting, visitors can sit outside and admire the superb flowerbeds. Open daily from 9-3pm during the winter and from 9-5pm in the summer, subject to weather conditions. If in doubt, please telephone. The site is expanding to include many other features of interest to the local person and visitor alike. Why not bookmark this site for future reference. In addition there are three illustrated Derby Heritage Trails for you to enjoy, as well as a feature on the history of the city. To return to the main page for this section of the website, click the link below. This non-commercial website is based on Discover Derbyshire Supplements published by the Derby Evening Telegraph.